Gen. Lloyd J. Austin, the head of the United States Central Command, acknowledged that the Sunni militant group might still manage to take Kobani, but indicated that even if it did, it would be a costly victory that could eventually help the United States and its allies in other parts of Syria as well as in Iraq. 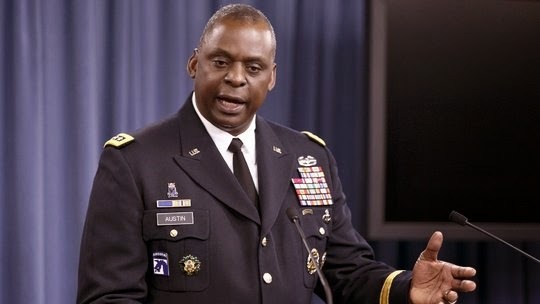 “What’s going on in the Kobani area is that, in my assessment, the enemy has made a decision to make Kobani his main effort,” General Austin said during a rare appearance before reporters at the Pentagon. He said that fighters from the group, also known by the acronyms ISIS or ISIL, had poured into Kobani. The United States carried out 14 airstrikes around Kobani on Wednesday and Thursday, the Pentagon said. The attacks blasted what officials described as Islamic State buildings, command posts, fighting positions, sniper positions, a staging location and one heavy machine gun. During his appearance before reporters on Friday, General Austin echoed that. “It’s highly possible that Kobani may fall,” he said. Defense officials noted that the more Islamic State fighters that the United States and its allies were able to kill in Kobani, the fewer they would have to fight in other parts of Syria and in Iraq. They also attributed the increase in airstrikes in and around Kobani to a little-known new system where Syrian Kurdish fighters fed target information to allied war planners. General Austin defended the American plan to train 5,000 members of the moderate Syrian opposition to fight the Islamic State, and said that in eight months to a year the Sunni militant group would look much more different after undergoing a year of airstrikes from the United States and its allies.